Why buy a soldering station when you can build one instead? As with many products, if you want the best, you’ll pay top dollar for it. After seeing that the supposed best soldering station on the market sells for $500, YouTuber GreatScott! decided to instead purchase the iron and tip for a total of around $100, then reverse-engineer how the station should work. From there, he used an Arduino Pro Mini along with a little OLED screen to display the temperature, and a toroidal transformer as well as several other components to power and complete his build. 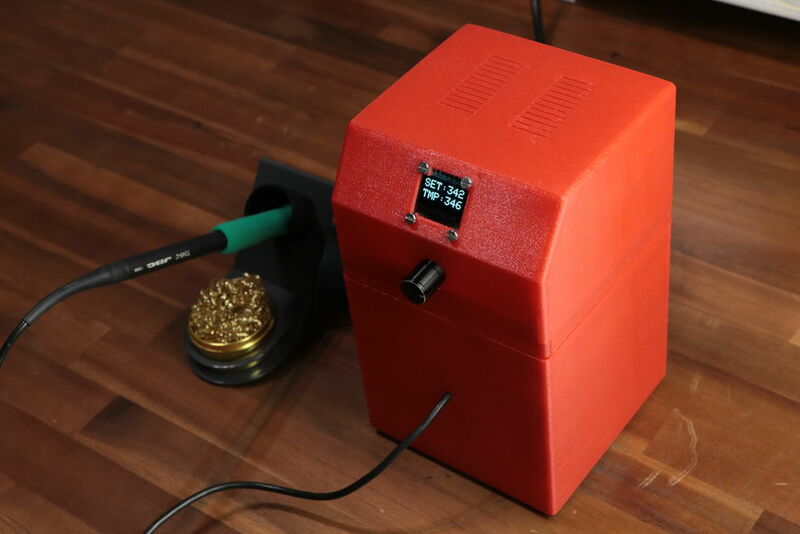 Finally, he 3D-printed a nice red enclosure and attached everything together, making his own custom soldering station. You can see more on this station’s Instructables write-up, and check out GreatScott!’s channel for other interesting projects!